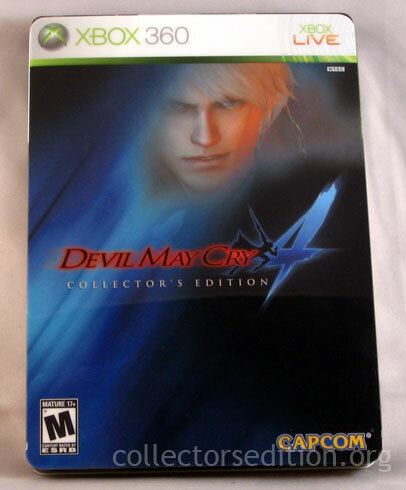 I picked up my NTSC copy of Devil May Cry 4 Collector’s Edition for Xbox 360 today. Since it was a pre-order through Gamestop I also received a nice art book as a bonus. Unfortunately I was not one of the lucky ones who got an autographed copy. Overall I must say I’m a bit disappointed with it. 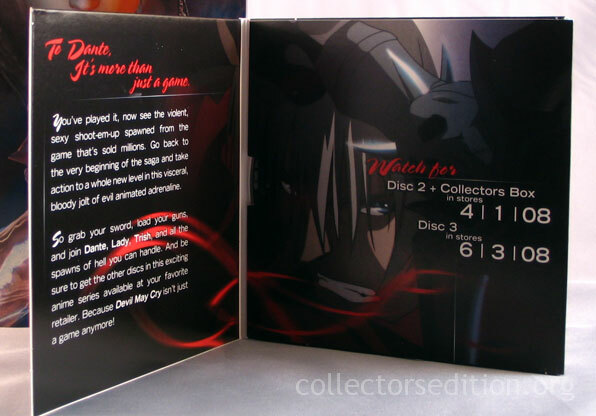 It’s your basic steel book case with an extra DVDs worth of content, and then the first disc of the animated series comes in a bi-fold cardboard slip cover that is simply shoved under main cases plastic slip cover. 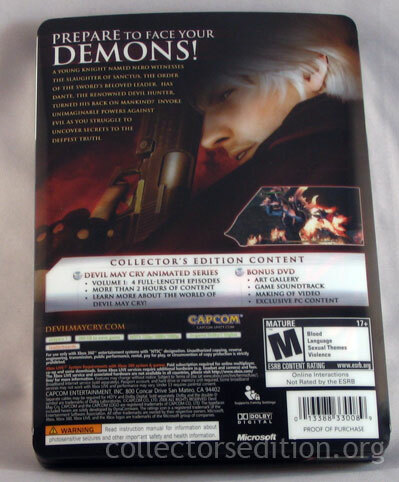 Had this been priced at the normal $69.99 for a CE I would say it’s above average but they charged a whole extra $20 over the regular edition. 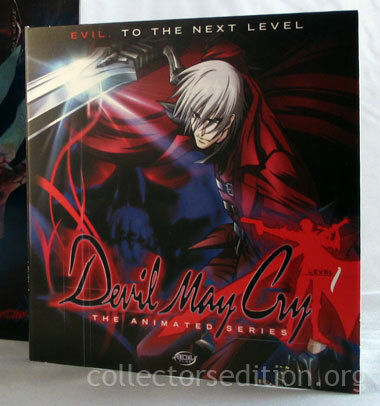 I realize they consider the Anime disc worth $25 but anyone who shops around could find it new for under $15 and that’s with a full real case. 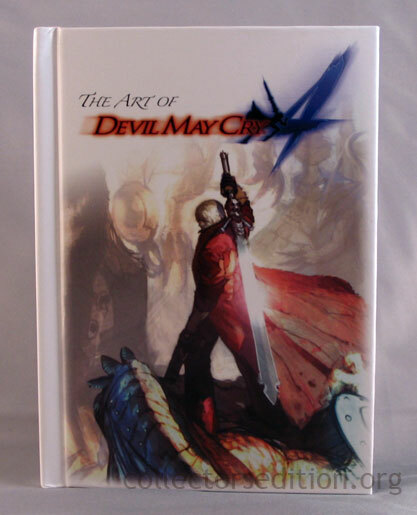 As usual the nice artbook thrown in by Gamestop made the bonus price pill a little easier to swallow but I would have received that even if I pre-ordered the regular version and unlike Assassin’s Creed the DMC4 case really doesn’t give me any place to put the Anime DVD or the artbook. 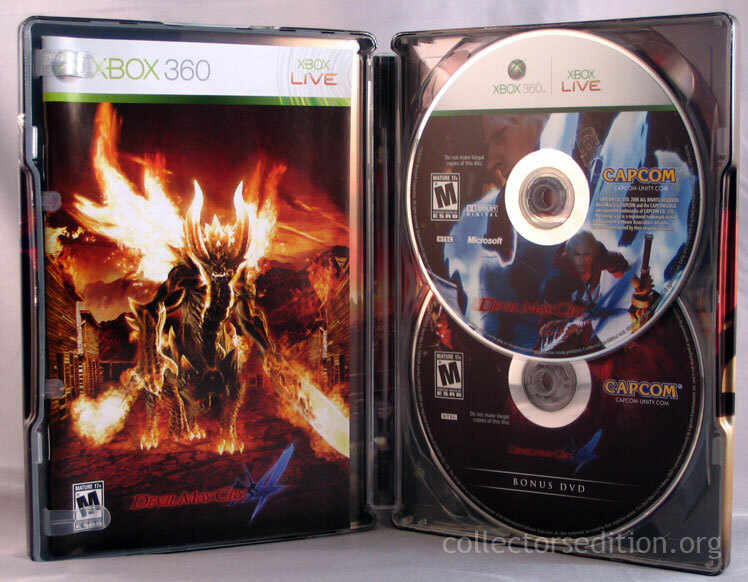 The PS3 version of the CE is essentially the same, and I suspect the PAL versions are also similar but with different case art and without the Anime disc. If anyone has an autographed copy of the game, for either 360 or PS3 and is willing to part with it please let me know, in the mean time I’ll be watching eBay. 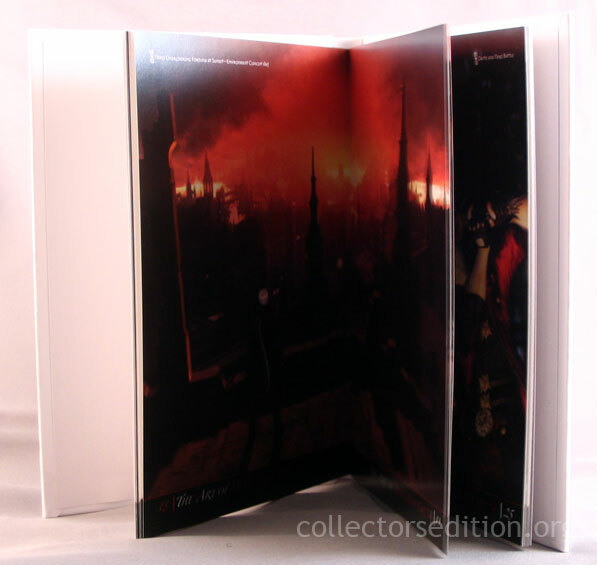 I wont pay an astronomical price for it but I think it would be nice to have pictures of one for CEO here and I wouldn’t mind having it in my collection.